Why Choose a Certified Aesthetic Nurse Specialist? It’s important to know who’s behind the needle and syringe when receiving aesthetic injectable treatments such as Botox®, Dysport® and dermal fillers. Choosing an aesthetic specialist is one of the most important first steps when considering aesthetic treatments. A Certified Aesthetic Nurse Specialist (or CANS, for short) is a Registered Nurse or Nurse Practitioner who is experienced in the aesthetics field, must meet specific requirements, and successfully pass a national certification exam, testing her knowledge in all areas of aesthetic medicine. Certified Aesthetic Nurse Specialists hold the clinical expertise needed to provide you as the patient with the best outcomes, delivered safely, that you should expect. Certified Aesthetic Nurse Specialists have set themselves apart as practitioners dedicated to maintaining their clinical expertise and patient safety above all else. It is only after 1,000 practicing hours as an aesthetic nurse or nurse practitioner, that they are eligible for testing to achieve certification through the Plastic Surgical Nursing Certification Board (PSNCB). It doesn’t stop there. CANS practitioners must rectify every three years, which means they have to continue to stay on the cutting edge with their skills and aesthetic education. 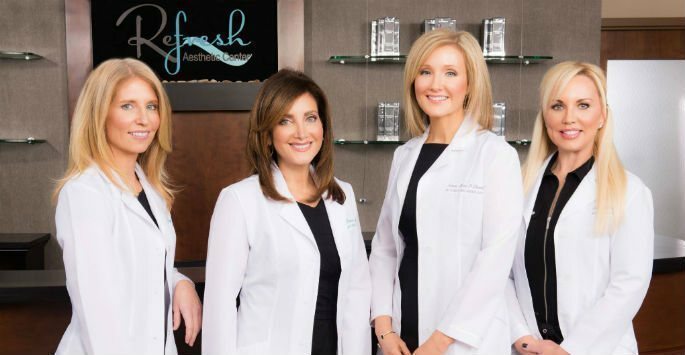 At ReFresh Aesthetic Center, Dawn Sagrillo, Arleen More O’Ferrall and Tricia Henry were the very first aesthetic practitioners to become Certified Aesthetic Nurse Specialists in Wisconsin. What does that mean for our patients? We trust it demonstrates our commitment to providing safe and superior outcomes for the many nonsurgical treatments we offer at ReFresh. To find out more about our Certified Aesthetic Nurse Specialists, visit Dawn’s Staff Page, Arleen’s Staff Page or Tricia’s Staff Page. If you’d like to schedule a complimentary consultation, simply give us a call at (414) 964-1111.